Many of you know my ingrained love for Eretz Yisrael, even though I am not living there now nor have been for over thirty years. Just speaking with these women, nine hours ahead of me, reading their comments over morning coffee--theirs at my midnight, and mine, at their afternoons--made me feel as if I was there, visiting and shmoozing with them, discussing philosophical questions or points in Judaism, venting about family problems, sharing s'machot (happy occasions) with them such as my grandson's Brit in Efrat last week--and virtually "being" in Jerusalem, or Shiloh, or Netivot, or Rehovot, or Modiin. 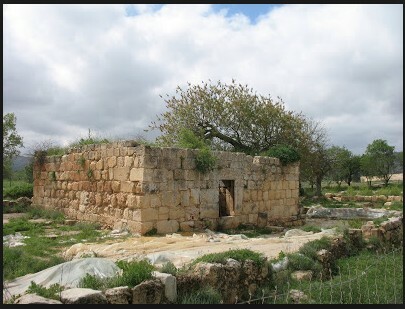 The piece de resistance was today's get-together at Tel-Shiloh, the site in the town of Shiloh of the original Tabernacle, the Mishkan in Hebrew, at which the Jewish people worshipped G-d, before the Holy Temple was built in Jerusalem. The group went on a tour and hiked with an experienced guide, prayed and read Tehilim (Psalms), and ended the day's trip with a lovely late lunch (Linner? Lupper?) at a local restaurant. That is where I Skyped with them, and met each one in "virtual person" as they passed the Tablet from one to the next and we introduced ourselves. We, each one with yours truly, chatted a bit by Skype, even though it was hard to hear because of the ambient noise and conversations at the table. Several ladies went outside of the restaurant so that we could chat without distractions. It was a beautiful day in Shiloh, and I turned my webcam around to face our back patio, so that they could see the SNOWSTORM that we had this morning! It was a bit shocking to some--unexpected, on an April 23rd Tuesday! Bottom line: they all encouraged me to make Aliyah, soon! I felt as if I was with them, at least, if not on the very moving and spiritual tour and hike in our ancient land, at the restaurant where they were having pizza and salads. For a detailed account of the face-to-face Shiloh get-together, go to Batya's blog, Shiloh Musings. I could tell that the trip made everyone glow with satisfaction and fulfillment. It was perfect in almost every way, but I would have done one thing differently: I would have chosen a falafel joint. Darling, your friends in Israel are waiting to have felafel with you. Hurry up, my dear. Well you'll have to open the felafel joint in Shilo 'cause far as we could see pizza was the only thing available. No matter, we'll have to go for felafel somewhere else. Meantime, JUST GET HERE! It was such an experience to speak with and see you on the trip. We'll skooch over and make room for you at future get-togethers after you make aliya. Come and share the fun in holy sunshine! Your blog is delightful, and really reflects your love for Eretz Yisrael. Waiting for you to come home [when the time is right for you]. where Avraham Avinu, lived, slept, attended to his flock and shopped. Lamb: just one more reason to...make Aliyah! I'm so sorry that I missed the f2f. Hopefully next time someone will bring a tablet and we can Skype again. We'll have to arrange a falafel afternoon for you. Netivot has the best, right, Miriam and Devorah?